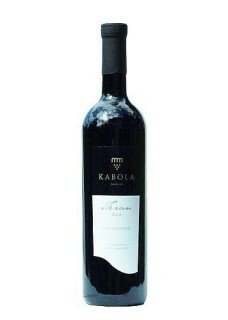 Teran is an old indigenous Istrian grape variety with characteristic ruby-red colour. After long maceration, the wine ages in oak barrels for 16-18 months. Its intense aroma is reminiscent of berries and tobacco, with dry, longlasting tannic taste. Relatively high content of acids and a slight note of tartness, together with high extract, adds to this wine a typical taste of a full, strong and robust but at the same time pleasantly crafted wine. Because of its characteristic fullness and high contents of polyphenols (tannin, anthocyane) it is considered to have healthy qualities. Food pairing: This wine matches perfectly with venison dishes, red meat with truffels, istrian ham.